Will you accept the challenge of being a responsible traveler? There is a lot being said about Responsible Travel these days. Much of it is just words by companies and travelers and rarely followed up by actions. 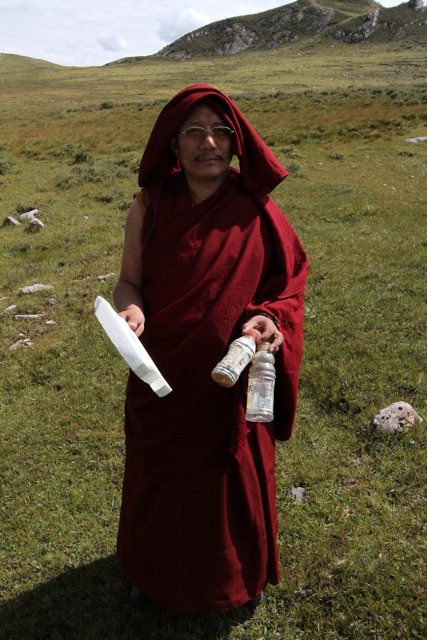 The Tibet Ecotravel Collective is about encouraging positive actions! 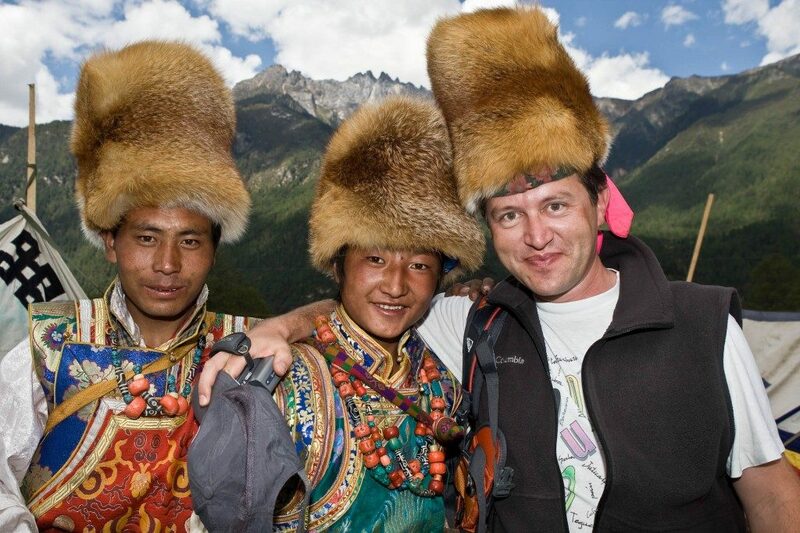 As a traveler in Tibet it is possible to ensure that your journey has a positive impact on the places you go and the people you meet. Being a Responsible Traveler requires you to think about the way that you travel and the impact your actions have. Buy Locally: Use a travel company that employs local guides and staff. Eat in local restaurants, buy handicrafts that are authentic and locally made. Don’t be shy to ask directly about the source of the products you purchase. Be open-minded and aware that your cultural values may differ from locals. This may include different concepts of time, personal space and communication etc. Make the effort to learn about local cultural sensitivities: For example – wear full length trousers or skirts and modest tops that are not revealing. Avoid wearing shorts or short skirts and tops which bare shoulders. – Point with an open palm and not your index finger. – Avoid patting or touching children on the head. Be sensitive when taking photos: Ask permission before you photograph local people, and don’t interfere during monastic ceremonies or private activities. Don’t take photos of skyburial sites or in monasteries where photos are not allowed. Many monasteries request a fee for photography and it’s always appropriate to make a donation. Minimise your waste: Carry reusable cups, plates, cutlery or chopsticks. Try to purchase produce which is not wrapped in plastic. Avoid using disposable plastic shopping bags. 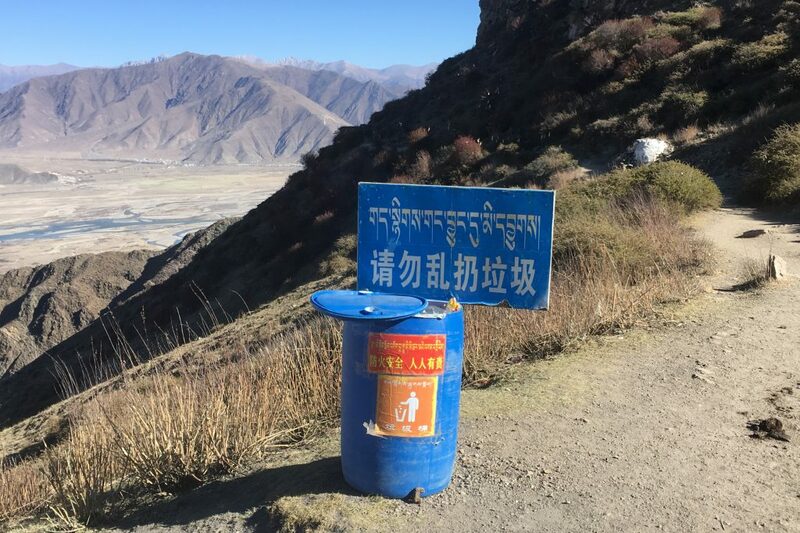 Dispose of waste appropriately: Most local villages don’t have environmentally sound trash management systems. Pack your garbage out to to larger towns or cities when it can be disposed of appropriately. If there is no toilet, dig a hole at least 25cm deep and bury human waste. Burn or bury toilet paper. Make the effort to learn some local language: Learning even a few words will break down cultural barriers and demonstrate your interest in local language and culture. You’ll gain respect from locals and it’s fun too! Local people you’ll meet in your travels are generally easy going and respectful and may not make it clear if you are behaving inappropriately. Here are a number of things you can easily avoid to ensure your presence is respectful and interaction with locals will have a positive long-term impact. Don’t intrude on local people’s homes, tents, land or private activities (such as sky burials). Show respect for local’s private property and personal space. Always ask for permission before entering private property or land. Don’t be disrespectful at religious sites or family homes by wearing shorts or revealing clothing or kissing or touching intimately in public. Remove your hat and shoes unless instructed otherwise and don’t step over people or people’s legs – feet are considered dirty. Don’t relax by putting your feet up on tables or chairs. Don’t swim in holy lakes, sit on holy objects such as mani stones or walk on or step over prayer flags. Don’t encourage inappropriate begging by giving large amounts of money to beggars, or sweets or pens to kids. Begging is accepted in Tibetan society and is part of Buddhist generosity practice so subtly giving a small amount is appropriate. Don’t create dependency on hand-outs: Encourage self-reliance, if you want to help, donate to a trustworthy non-profit organization or charity and make sure locals are involved in the decision-making processes and that they are indeed the beneficiaries of your donation. Don’t hand out medicines without detailed and proper explanations of usage. Often it is better to encourage the use of local medical care if available. Avoid perceived political discussions or activities. You may get yourself or others in trouble. Don’t break local laws and regulations: Remember that you are a guest in Tibet. Make sure you have the correct travel permits – your travel agency and tour guide or host could be fined or may even loose their license if you break the law. Communicate these Responsible Traveler guidelines to locals. Set a good example of environmental awareness and positively encourage your guide, drivers and other staff to do the same.